A press copy of Warlock #1 and Warlock Lair 1 was provided for the purposes of this review. Kobold Press recently launched a Patreon campaign for a bi-monthly RPG sourcebooklet called Warlock. 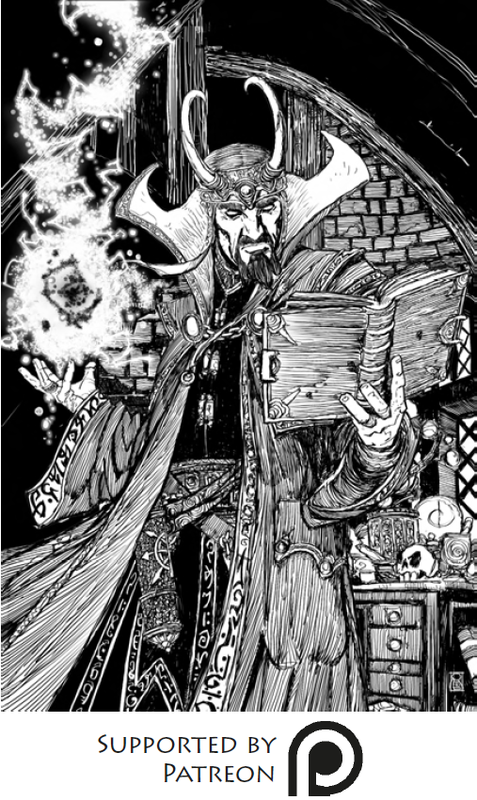 Warlock uses the 5E SRD to produce material that’s compatible with Dungeons & Dragons Fifth Edition. In may ways Warlock represents Kobold Press’ return to their roots of Kobold Quarterly. Warlock specifically dives into the lore, characters, and locations of Midgard, Kobold Press’ fantasy world and RPG campaign setting. Warlock is designed as a mini-sourcebook, though any DM could be properly inspired from the material presented here. The first issue is small, both physically and in length, clocking in at 20 pages. It’s printed on thick card stock with black and white art. Its size belies the deep material inside, including a detailed overview of the evil land of Beldestan, a greenhouse of mutated plant life that would make Poison Ivy proud, and rules for those who venture too close to the Void. 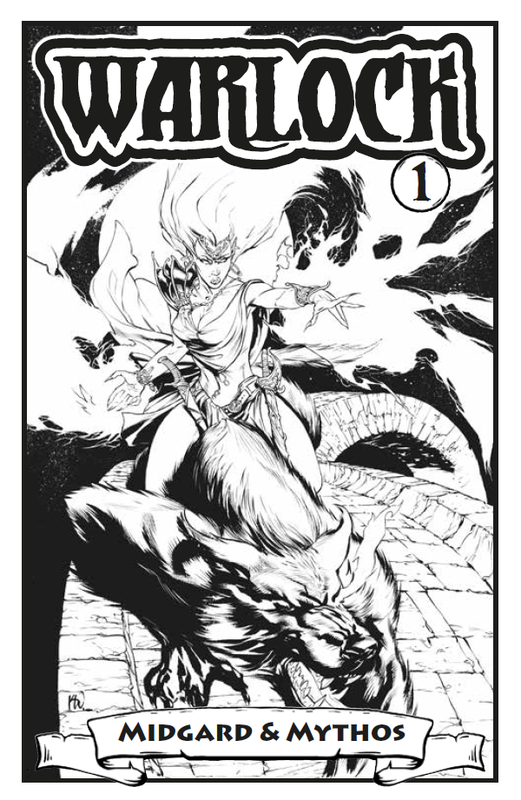 Warlock #1 provides four separate articles, each written and designed by a different person (or collaboration) from Kobold Press’ impressive stable of RPG writers and designers. It also includes several fantastic pieces of original artwork by Gabriel Cassata, Pedro Potier, and Karl Waller. “The Forbidden Mountains of Beldestan,” is written by Kobold Press founder Wolfgang Baur. It’s the most lore-heavy section, focusing on the Satrapy of Beldestan. Beldestan is a Very Bad Place – but also rich with adventure. There’s an evil grove full of dark satyrs and a castle built atop a plateau that controls the skies with Rocs and Hippogriffs. The capital city of Galnas is home to temples of dark gods and darker rituals. There’s even a literal stairway to heaven with a giant rising spiral staircase. Like the all the information in the booklet, if you don’t run a Midgard campaign this information will be of limited use, though it’s still a fun read. The Beldestan locations are evocative and interesting. I could easily see adapting any of these areas, like the Stairs of Beldestan, into your own world. “The Delights of Enkada Pishtuhk,” by Troy E. Taylor and Ben McFarland singularly focuses on a single character, the titular archmage. 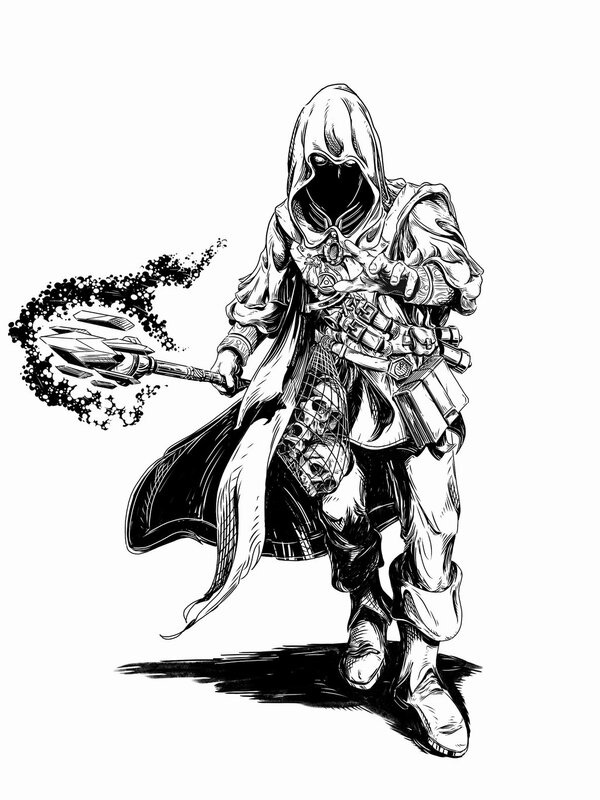 Instead of focusing on this mysterious character’s backstory and lore, most of the article is dedicated to the many exotic offerings that a player character could offer the archmage, in exchange for a number of boons or artifacts. It’s an odd and quirky read. Enkada’s tastes could easily span the goal of an entire adventure, or lengthy quest. Specific items and food from exotic locations are heavily detailed, including jellied eyeballs (though not just any eyeballs), Elven lore books, and a pet Kot Bayun. I was disappointed that Enkada’s magical gifts are just a list of items you can find in the Dungeon Master’s Guide. I could see this section developing into a side quest where the party needs a piece of information or key artifact, and must collect an exotic item for exchange. Richard Green provides a fun killer-plant location in “Legacy of the Unhinged Gardeners,” which is also a fantastic title, and probably my favorite article of the bunch. This is a great little location that a DM could drop anywhere within their own world. It includes a bit of lore and background information, a unique new statblock, and plenty of thematic hazards. In this case we’re given the Warlock’s Trumpetbloom, a massive CR 7 plant monster that takes up a full page and a half, including several paragraphs of description and information. The inmates now run the proverbial asylum in this greenhouse gone amok. There’s even a funny reference to a Dread Gazebo, which houses the Trumpetbloom. The final article is all about the Void, which I believe is Kobold Press’ version of the Forgotten Realms’ Far Realm. “Void-Touched: Warped Flesh and Twisted Minds,” is written by Dan Dillon. It provides detailed notes and rules on what the Void is, and what being exposed to the Void can do to your mind and body. This can be useful information in any scenario where a tear into the Void is present, such as in “A Starry Breach” one-shot from Prepared 2. Void Exposure can be resisted with a CHA saving throw – finally a use for that stupid CHA proficiency that like half the classes in 5e have! Void Exposure can occur not only when near an obvious breach, but also when attuning to Void-tainted magic, learning Void-tainted lore, or encountering a Void creature. This provides an additional layer of challenge that I really dig, particularly if your players are into role-playing the subsequent madness. Stare into the abyss long enough and it gazes back, and probably drives you a bit crazy, Lovecraft-style. It would be easy to simply point to the Dungeon Master’s Guide’s rules for short-term, long-term, and indefinite madness. It does do that for short-term effects, but there’s an interesting cumulative system here based on your CHA modifier that can lead to a new indefinite madness, and ten creepy new flaws are provided. In addition, the nasty effects of the Void can manifest physically instead of mentally, resulting in a unique Flesh Warp. This could be a great solution if you want to inflict the Void rules without subjugating your players to role-playing madness. A full page of ten Flesh Warps are provided, each given its own rules, such as replacing a hand with tentacles (! ), growing tusks, or secreting slime. I love that all of them provide both negative and positive traits – even the Eyeless one gives Daredevil-like Blindsight out to 10 feet. Even if the Void doesn’t exist in your campaign I could definitely see using these Cthulhu-like effects in a memorable scenario involving otherworldly evil. One of the most intriguing aspects of Warlock is something I haven’t yet touched on. Patrons of Warlock can vote in polls to voice what kind of material they want to see in the next issues, such as more monsters or specific locations within Midgard. It’s a neat community-based system made possible through crowdfunded websites like Patreon and Kickstarter. In addition to the Warlock sourcebooklet, Kobold Press is also producing short, one-shot lairs as part of the Warlock Patreon. The first is called “The Clattering Keep,” a 5-page lair designed by Jon Sawatsky for four 4th-5th level characters. “The Clattering Keep” is awesome, and exactly what I want from a one-shot lair. It features a classic ruined keep dungeon, currently inhabited by a pair of dracolich wyrmlings! The only dracolich statblock in the 5E Monster Manual is for an adult, so “The Clattering Keep” provides a new creature statblock for the cool-named Unhatched. The Unhatched aren’t in their lair at the start. Instead they’re a fun weapon the DM can employ during the perfect moment. There’s a necromancer camped out in the keep who can provide some fun role-playing moments should the PCs want to work with her to defeat the Unhatched. Some fun undead encounters, including ghostly servants and wight guards help fill out the theme of the haunted, evil keep. I would definitely rank “The Clattering Keep” up there with some of the best one-shot lairs I’ve seen. The only caveat is that it doesn’t include a virtual tabletop-friendly player map. The black and white map has the same art style and feel of the rest of Warlock, but it wouldn’t work for something like Roll20. The dark magic theme is well utilized, including evil regions, evil plants, and evil Void magic. Fantastic character art throughout the booklet, as well as a nifty regional map of Beldestan. Extensive statblock for an awesome new giant plant monster. Detailed rules for Void Exposure, including the cool Flesh Warps. 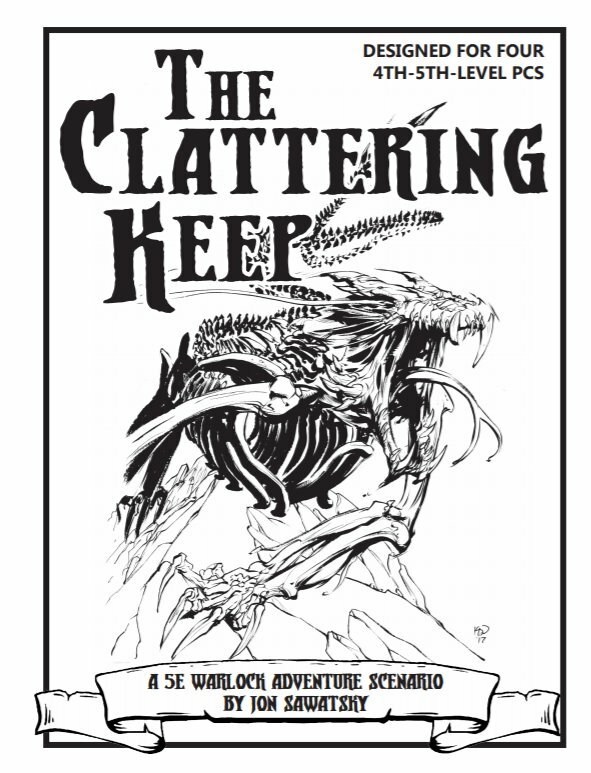 “The Clattering Keep” is a fantastic one-shot dungeon featuring an undead keep and new dracolich wyrmling statblock. The entire Warlock PDF is only $1. The lair is another $2. A printed booklet is $5 (includes PDF copies). The section on archmage Enkada has too much time and space dedicated to the many exotic offerings he’s seeking instead of the character himself. I would’ve loved to have a little dungeon map for “Unhinged Gardeners.” Show me that Dread Gazebo! No separate player map for the Warlock lair. The Verdict: Warlock is a great little resource for Midgard with fun ideas, lore, and rules that any DM could adapt for their own worlds.